Knowing how to apply liquid eyeliner is something that can instantly separate you from other women in the crowd! 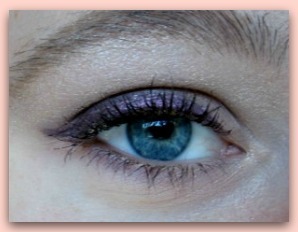 Even better, using beautiful shades such as purple eyeliner is elegant and unique. If liquid eyeliner is something you’ve never really dared to wear, now is definitely the time to start! Many women are afraid to apply it, often because they think it will be too difficult to apply smoothly and evenly. I am here to tell you that this isn’t the case. Liquid eyeliner can really make your eyes stand out, and it is also a wonderful tool for enhancing your natural eye shape. You can even use it to alter the shape of your eyes to get different looks. If you’ve ever wanted to have Princess Jasmine eyes, this is the way to get them! Liquid eyeliner is that it comes in almost every color imaginable, so if you want to get your makeup done quickly but still look unique and pretty, a single coating of bright liquid eyeliner will certainly do the trick. A while back, I was walking through Sephora looking at various shades of liquid eyeliner when I noticed one of the models in the photo next to a selection of colors. The model was a beautiful girl resting on a boat, smiling in the sunshine. The part that struck me was that her eyes were simply lined with minty teal colored liquid eyeliner and a tiny bit of mascara. Nothing else was needed, it looked simply fabulous! This look was incredibly unique and I could see that it would only take a few minutes to achieve. What more could I ask for? I wanted to practice learning how to apply liquid eyeliner this way, so I purchased several liquid eyeliner pens in different colors and have loved them ever since. One of the simplest and most elegant ways to apply your liquid eyeliner is to simply start from the inner corner of your eyes and swipe on the liner in a very thin line from corner to corner. When you get to the outside corner, sweep the liner out with a flick to create a small wing. You may need to go back and make the line a bit thicker on the last third of your eye. Once you get a little practice doing this, you will find that you can create a very smooth line that follows your eye and makes your eyes look exotic and sweet. You can make your eyeliner line as thick or thin as you’d like, and the wing as small or as dramatic as you’d like. 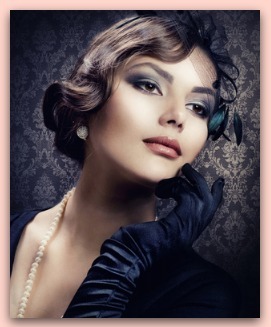 Liquid eyeliner can also be worn alone, or on top of an eye shadow scheme to really make your eyes stand out! A longer wing and thicker line will tend to give you a more Bollywood Indian woman eye, while smaller ones will enhance your natural shape. Just be sure to avoid the winged eye look, its a little tacky. If you want to get a pretty yet subtle look for a hot date or night out with your friends, try choosing a medium colored liquid liner that enhances your eye and skin color. Think violet, sapphire, emerald or chocolate colors. Use a light matte eye shadow as your base all over your eyelid. Then use your liner pen or brush to line your upper lash line. Follow up with a couple of coats of mascara and you have a unique and elegant look for the evening! There are some very Easy To Apply Liquid Eyeliner From Italia that you can pick up fairly cheap too. So what are you waiting for? Go ahead and start glowing with your new eyes.